The OIG recently released its inspection report of our US Embassy in Port of Spain, Trinidad and Tobago. It is an exceptionally good study on why the appointments of political ambassadors should be handled with extra care. 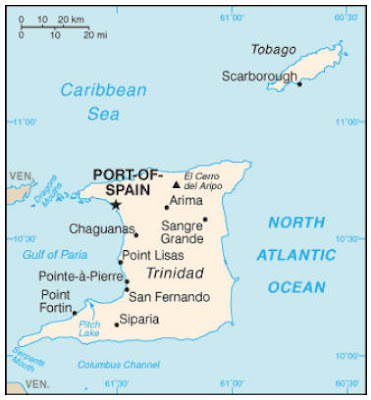 The report states that executive direction at Embassy Port of Spain faces a host of challenges. Curtailments of its key officers are the norm rather than the exception. Since the 1980s, no supervisory management officer or general services officer has served a complete tour in Port of Spain. The management section, the traditional backbone of any embassy, is not of the highest effectiveness. It says that “the country team process works well, with the exceptions of the management section chief whose section is ground zero for complaints” and “the consular chief whose assertive leadership style does not mesh well with that of other section and agency heads" (consular chief did fix the visa shop, though). The OIG concludes that the problems are systemic and endemic — almost beyond the ability of anyone, including the newly elevated chargé d’affaires, to remedy. The Office of Inspector General (OIG) inspection took place just days after the Ambassador departed. This noncareer envoy, who served from 2001 to 2009, had left a distinctive stamp on the Embassy, in part because of a management style that precluded deputies from acting in the traditional DCM role of chief operating officer for the Embassy’s internal activities. Those who resisted, departed. The Ambassador went through five DCMs, the longest serving were two who had been elevated from the ranks and thus were mindful of the limited authority the Ambassador would afford them. (DS: Holy goat! Five DCMs might just be a record, too!) […] OIG’s previous inspection inspection in 2003 found that the DCM had a distinctly subsidiary, often mediating, role in Embassy Port of Spain’s direction and coordination. This constrained DCMs, invariably career officers, from systematically addressing long-standing administrative problems. Further, in 2003 the OIG inspection team highlighted the Ambassador’s hands-on role in personnel matters, including the hiring of local employees, and advised the Ambassador to move away from too great an involvement that undercut the Embassy’s supervisory officers and created as many problems as it solved. The Ambassador did not take this action. The latest OIG team still found palpable tension between the American and local employees, amplified in part by the former Ambassador’s ill-considered, semi-public criticism of his consuls, his management officer and even his DCM. […] The chargé d’affaires is atop a mission lacking cohesion, in part because of its sprawling physical facilities and the former Ambassador’s distaste for traditional lines of authority — conditions also noted in the 2003 inspection. Ironically, a further constraint to action may be the chargé d’affaires own approachable, soft-spoken, likeable demeanor, which served him well under the previous Ambassador. The OIG team, for example, twice observed the multiple late arrivals of participants in senior staff meetings. Front office authority should be projected more forcefully. […] A further challenge includes perking up the local staff morale while also dialing down the local employees’ inflated sense of mission role, a circumstance deriving in part from Trinidad and Tobago’s very strong labor tradition. The outgoing Ambassador had empowered local staff explicitly or implicitly to the point that the spouse of one local employee was viewed as more of a confidant of the Ambassador than his own DCM. The Ambassador also entertained complaints directly from local staff, bypassing their American supervisors. (DS: Aw, that is shitee, no?) […] Ideally, the front office would allow junior officers additional opportunity to host representational events, thus honing their skills for future positions with serious representational responsibilities. The outgoing Ambassador, however, did not use representational money wisely, exhausting most of the budget on a few large events whose high per-attendee cost reflects the failures to use official residence staff or facilities prudently. The result is that junior officers had only a few representational opportunities. Even the political section has only $150 for representation, which in oil-rich Trinidad buys a handful of meals. (DS: $150, good grief! That's good for serving water and popcorn to a few dozen guests.) […] Aware of the former Ambassador’s strong opinions on law enforcement matters, group members tended to censor themselves. On occasion, they chose not to bring to the group issues or approaches to which the Ambassador was opposed. They did, however, voice disagreement with his decision to give the relevant Trinidadian ministry vetting power over nominees to U.S. training programs. After discussing the matter, the group reached a compromise with the Ambassador, whereby the mission proposed a number of potential nominees, from whom the ministry chose participants. "Working group members also disagreed with the former Ambassador’s priorities on the use of demand reduction money from the INL. The OIG team’s review finds that some of the activities funded at his behest have only a peripheral connection to demand reduction. For instance, the mission gave $10,000 to support a public campaign called the “Song and Verse Competition,” an initiative that the Ambassador energetically promoted. While the theme of the competition was preventing crime, group members and the OIG team believe that the activity itself was marginal to counternarcotics." See official news release on “Song and Verse Competition” here and here. No repairs for 8 years? "The chief of mission residence is located on a sizable plot of land overlooking Port of Spain. It is ample for representational purposes. The residence itself, though, has a feeling of neglect and disrepair, in part because the previous Ambassador viewed repair activities as intrusive." You know that I have a thing with sci-fi, right? Anyway, in Battlestar Galactica’s The Captain’s Hand there is one scene between Adama and Apollo conducting a post-mortem on the former’s disastrous appointment of Garner as Commander of Battlestar Pegasus. Adama: In your opinion, off the record... what was Garner's flaw? Apollo: He was used to working with machines. Command is about people. Adama: Remember that. I want you to take command... of the beast. Garner was my decision. His failure's my responsibility. Don't let me fail a second time. I thought of that scene as I read this report. Certainly an embassy is not a battleship, but that thing about command is just as relevant. Command is about people whether you’re running an organization or a battleship. If only this was fiction, we’d have a Commander Adama taking responsibility, won't we?